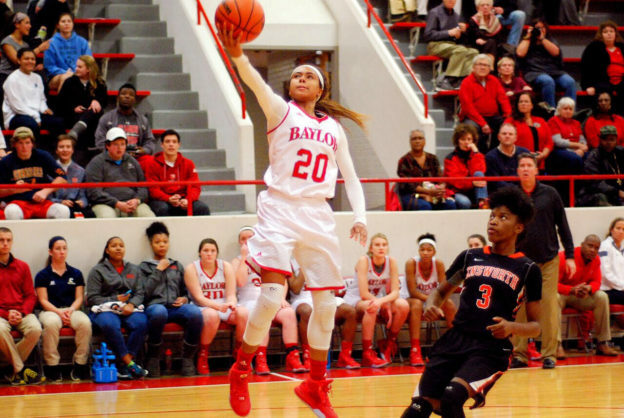 Baylor guard and UTC commitment, Mya Long, will be playing in the very first Chattanooga High School Girls Fall Basketball D-League. The Chattanooga Development League (D-League) will feature current high school and middle school basketball players preparing and developing their games for their upcoming basketball season. One of the top guards in the area, Mya Long has proven why she is worthy of receiving an offer from the University of Tennessee at Chattanooga. Mya has proven to UTC that she is a high caliber player. Mys is a combo guard in which she can dominate from any area on the court. Mya has the skill set to knock down the three point shot when a defender has a poor closeout. Additionally, Mya can create for herself and finish with the mid-range shot. If she is guarded tightly, she can also get all the way to the rim and finish on taller defenders. In transition, she is hard to stop because of her speed. UTC has a complete guard in Long because not only is she a great scorer, but she also has a high I.Q. to pass the ball to open teammates. If faced with double teams, Long has the ability to find the open teammate under the goal or in the opposite corner for a wide open shot. With a GPA of 3.3, Long will pursue her degree in mechanical engineering starting next fall. She will provide UTC with four great years of basketball. The first game of the Chattanooga D-League will be Monday, September 5 with games starting at 6:00pm at Notre Dame High School. Players can register for the D-League online at the following link rickytaylorbball.com/hs-dleague/ or register onsite Monday, August 29 @6:30pm at Notre Dame High School. Come out and get a sneak peak of high school girls basketball this fall. This entry was posted on August 4, 2016 by RickyTaylor.